PD Ports has signed a multi-million pound, five-year contract with British Gypsum, part of the global Saint-Gobain group. The plaster and plasterboard products manufacturer, will bring shipments from Europe directly into Teesport every two weeks where it will be stored in a new bulk warehousing facility. Trains will run daily from Teesport’s dedicated rail terminal. 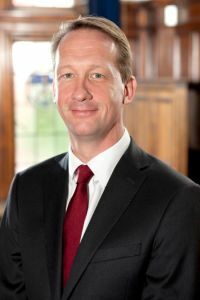 PD Ports’ chief executive, Frans Calje, (pictured, below) commented: “This announcement is great news, not just for Teesport but for the wider Tees Valley region. It signifies the high level of confidence the UK bulks and aggregates industry has in Teesport to deliver a service unrivalled by others ports on the east coast.